Ever notice how really fuel-efficient vehicles seem to stand out? And not in a good way. You can generally identify a hybrid vehicle by its frumpy or just unusual appearance. However, some hybrids look terrific, such as the 2019 Honda Insight for sale in Fontana, CA. This stand out hybrid sedan is carefully crafted to delight your eyes as well as it cheats the wind. Come stop in at Rock Honda and test drive a 2019 Honda Insight near San Bernardino, CA. 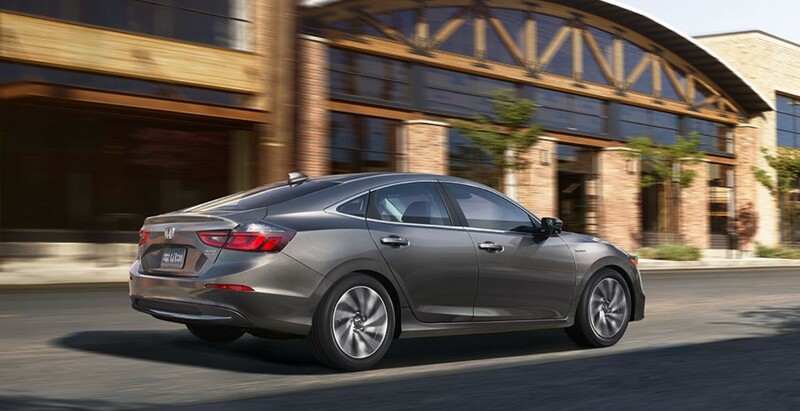 Our knowledgeable salespeople will walk you through all of the Insight’s impressive features and help you pick one out of our large 2019 Honda Insight inventory near San Bernardino, CA. We’re located in Fontana, CA and have served environmentally conscientious customers from the surrounding areas near San Bernardino and Rancho Cucamonga, CA. 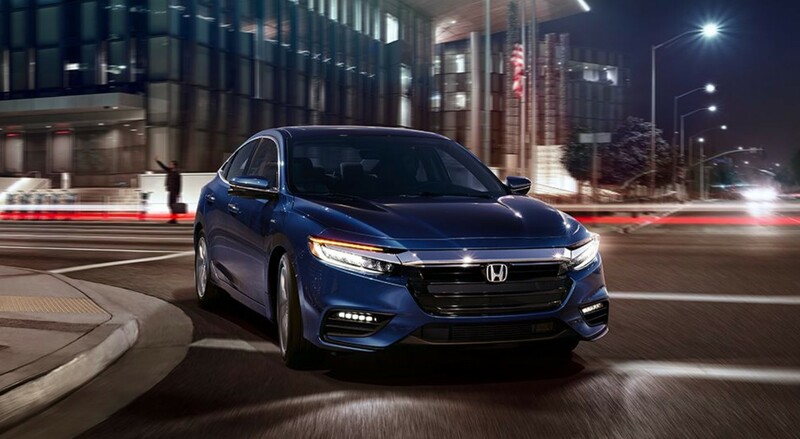 The exterior of the 2019 Honda Insight in Fontana, CA can is an excellent example of form and function getting along splendidly. The smooth flowing shape of the Insight is accented by crisp, sharp styling lines. Up front, brilliant LED headlights look stunning and provide great visibility while the LED taillights illuminate brightly to alert fellow drivers. When you climb inside, you’ll find a wonderful interior that looks terrific but avoids confusing ergonomics and distracting flourishes. Seating for five, plus folding rear seats, provide all the space you’ll need. A leather-wrapped steering wheel with media, Bluetooth®, and cruise control buttons make it easy to get around. Luxury is available in the form of premium leather seats and an available double stitched leather dashboard. In the gauge cluster, you’ll find a crisp and clear display that shows normal information like speed, but also helps coach you to drive more efficiently. The infotainment system is just as advanced as the rest of the car with a large 8-inch touchscreen is easy and intuitive to use plus makes smartphone integration a breeze with Apple CarPlay® and Android Auto™. The efficiency of the Honda Insight is made possible by the advanced engineering that combines a small gasoline-powered engine with an electric motor. Power is sent to the front wheels by one source or propulsion or the other and when max power is needed, both motors provide motivation. By carefully balancing the source of propulsion based on the current driver demands, the 2019 Insight delivers impressive fuel economy. The cherry on the top is the standard Honda Sensing® suite of safety technology such as adaptive cruise control and collision mitigation braking system that aid the driver to make every drive a little safer. Ready to test drive for yourself? Visit us here at Rock Honda in Fontana, CA to learn more!